Father Donald Parson, a longtime leader in Western Maryland who served as pastor of St. Peter the Apostle in Oakland for 15 years, was found dead in his rectory kitchen April 25. The 74-year-old priest, who had suffered a variety of serious health problems in recent years, had been a driving force behind the building of the $1.2 million St. Peter at the Lake Center, which provides a place to celebrate Mass for the thousands of visitors who vacation in the mountains and enjoy the 4,000-acre Deep Creek Lake. Bishop Mitchell T. Rozanski blessed the new building, which is operated by St. Peter the Apostle Parish, in 2009. Donna Cook, St. Peter’s office manager, remembered Father Parson as a loving man who encouraged the laity. Cook said Father Parson was proud to report to fellow priests during regional meetings that he had parishioners visiting the sick in the hospital every day and that volunteers brought Communion to those who couldn’t make it to Mass. Cook noted that Father Parson even involved vacationers in the life of the parish. The visitors register with the parish for three or six-month periods, she said, and are involved in parish ministry. “He trusted us in our ministry,” Cook said. The longtime St. Peter parishioner said Father Parson had a good sense of humor and could be curmudgeonly. Father Parson was a regular presence at St. Peter’s annual church picnic, one of the biggest events of the year in the westernmost corner of the Archdiocese of Baltimore. He often joked around at those picnics. Father James Proffitt, pastor of St. John the Evangelist in Severna Park, first met Father Parson when the two were serving at St. Benedict in Baltimore as summer interns from St. Mary’s Seminary in Roland Park. Father Proffitt remembered his friend as “very much a people person,” who had once served in clown ministry before becoming a priest. Father Parson preached the homily at Father Proffitt’s first Mass as a priest at St. John in Westminster, and Father Proffitt is now set to deliver the homily at his friend’s April 30 funeral Mass at St. Peter at the Lake Center in Western Maryland. A native of St. Mary’s, Pa., Father Parson was a former employee with a management consulting firm in Pittsburgh. 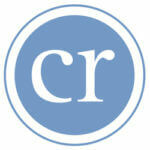 He felt called to the religious life after reading a vocation article in the Catholic Review. He was first ordained to the permanent diaconate in 1984, serving at St. John the Evangelist in Columbia. 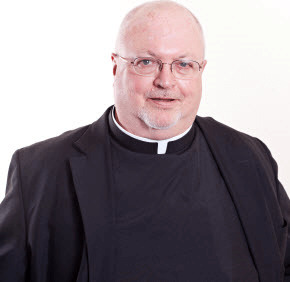 He was ordained to the priesthood in 1990, serving five years at St. Ursula in Parkville, one year at Our Lady of Mount Carmel in Essex and two and a half years at Church of the Resurrection in Ellicott City. He became pastor in Oakland in January1999. The year he was ordained a priest, Father Parson told the Catholic Review he enjoyed working with people. Father Parson’s body will be received at Peter the Apostle Church at 3 p.m. on April 29, with a viewing to be held from 3:15 to 8 p.m. Bishop Rozanski will preside over a 7:30 p.m. wake service. A viewing will also be offered April 30 from 11 a.m. to 12:45 p.m. at St. Peter at the Lake Center. Archbishop William E. Lori will offer a 1 p.m. funeral Mass that same day at St. Peter at the Lake Center.